In addition to the above photo from Barcelona, 115 other photos from California, Arizona, Spain, Portugal, France, and Andorra were posted to the Gorn Page. This entry was posted in Club Josh, Photos on January 17, 2015 by clubjosh. I’m still working on processing a massive Gorn Photo update from my recent trips. 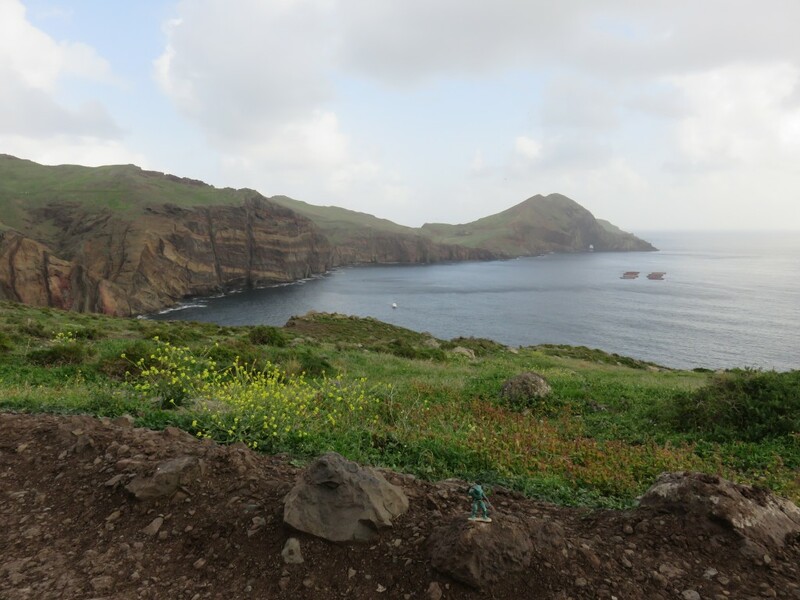 Until I get the over 100 photos from the last 5 trips, please enjoy the photo above from Madeira, Portugal. This was New Year’s Day, and one of my absolutely favorite days from the trip. Hopefully, I will have time to edit and post these photos, as well as finish the last two days of my trip diary before too long! This entry was posted in Club Josh, Photos, Travel on January 14, 2015 by clubjosh. It’s great to be back home after 10 days overseas. I am amazed that I was able to at least post a photo a day from the trip and managed to keep diary notes for each day. I still have to write up my Barcelona days to complete the full diary which I will post both here and on the Trip Diaries site. Along with sorting and uploading the Gorn photos, I have a bunch of smaller tasks to fix before I’m ready to plow into the new year. I also have a few retroactive blog posts to get on the site to complete my 365 days of blogging for 2014. For the most part it was a success, and other than three entries in October I did OK. I still want to go and finish those posts I am missing (they exist in various stages of drafts) so I can have a record of my accomplishments. Right now, since I am heading into the 20th Anniversary year of Club Josh, I am thinking I want to keep going with a post a day for the foreseeable future. I reserve the right to take a week or two off, but I hope once the jet lag wears off I will be back to full publishing! This entry was posted in Club Josh on January 6, 2015 by clubjosh. Next year is a big milestone here at Club Josh – our 20th Anniversary! Hard to believe that I have had a web presence longer than most of the big sites out there and make zero money off of it (donations accepted!). I’ve really been proud of my commitment this year to the site and it has paid off with more blog entries and Gorn photos than ever before. Part of that has come with the stability of our new home at Web Faction as well as using Word Press for CMS. At any rate, today I discovered that the Gallery program will no longer be supported which worries me as I will be running with software that won’t be patches or enhanced. One of the proposed replacements is a software called Piwigo. I’ll need to do some checking to see if there are any other alternatives. I still want to host the Gorn photos locally, and I would also like to have the Trip Diary photos also hosted locally instead of Flickr. I’m not opposed to keeping the TD photos on Flickr, its just been 4 years since I’ve loaded a gallery up there so it is way behind the times. Of course, there is no time to work on any of this prior to my trip at the end of the week, but I want to try and get the remaining 2014 Gorn photos on the site before then. I’ll probably upload my new trip Gorn photos to the old Gallery site as well and then sometime in January work on the conversion of the albums. Speaking of Trip Diaries, a long 12 hour plane ride is the perfect opportunity to write the old Utah 2013 diaries, so look for those to come sometime soon. This entry was posted in Club Josh on December 21, 2014 by clubjosh. Plan your trips now! The National Park Service has announced the 2015 days of free admission to the few parks that charge admission. One of the best things I ever did was get an Annual Pass for National Parks in 2013. It helped that we visited 5 parks in one road trip, but we managed to visit a few more and it was great waving the pass to get in to the parks. This entry was posted in Club Josh on October 2, 2014 by clubjosh. In the middle of some 80-90 degree days, I actually felt a bit of chill in the air the other night so Fall must be here in Southern California. While we have some fall colors here, the good stuff is either in Northern California or back east. 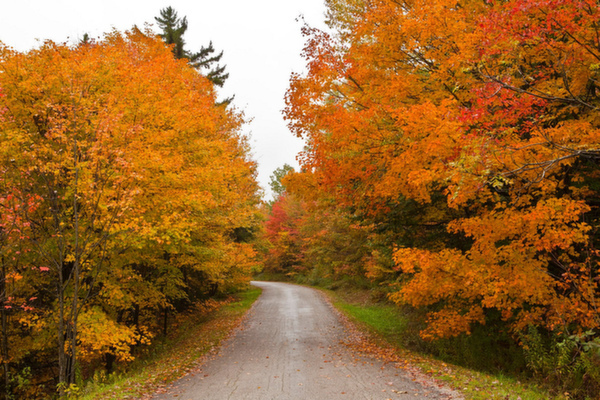 Jaunted has some links to Find the Latest Fall Foliage Forecasts. One of these years I would certainly like to see some great fall colors. The last few times I’ve been in the Eastern US it was either winter or late summer – not enough foilage to see great colors. I’m thinking of heading up to the Eastern Sierra to see some good colors this weekend. There have been some good freezes up there recently so I’m thinking now is the time to see some leaves turn. Of course, in California one can never be sure if the colors are changing due to Fall or because of our three year old drought! 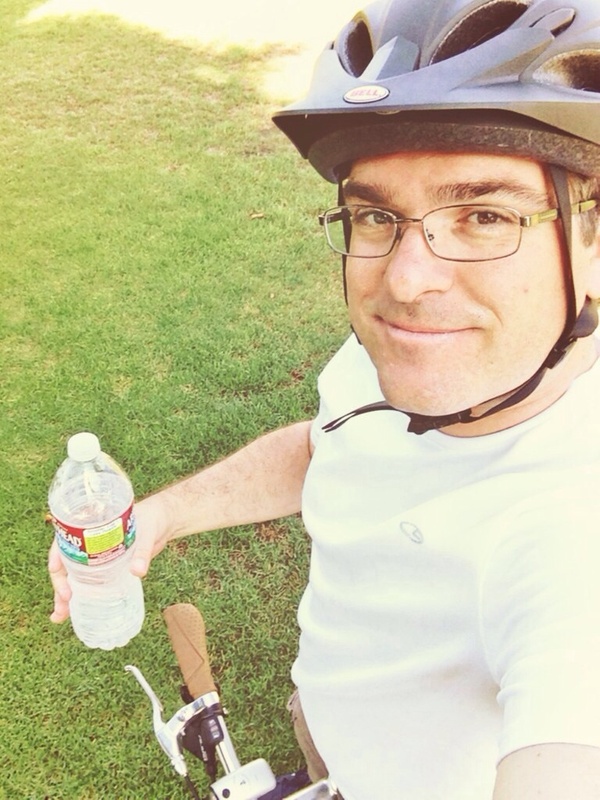 This entry was posted in Club Josh, Travel on September 30, 2014 by clubjosh. Sunday I posted a quick Instagram video of my first attempt at a long Hyperlapse video. I spent a few minutes in iMovie and created a YouTube video with music from the entire minute long Hyperlapse. Pretty neat app from the Instagram folks and hope that they continue to make improvements like the ability to add sound to it. This entry was posted in Club Josh, Web Related on September 3, 2014 by clubjosh. Today Daniel and I tested out our new bikes by riding the Santa Ana River trail 17.5 miles. Another 10 miles and we would have made it to the beach and back, but since this was a shakedown cruise it was just fine. My bike performed great and I spent time trying to figure out the Italian gear system to find a comfortable cruising speed. There were a lot of other bikers as one would suspect on a beautiful Sunday afternoon, so we were conscious not to block the speedsters. I’m looking forward to riding to work on a regular basis and weekend trips down the river. In the future it would be nice to get a car carrier and explore some of our National Parks via bike! This entry was posted in Club Josh on August 10, 2014 by clubjosh. For those of you who are lucky enough to live in the UK, my favorite Python and Travel Programme presenter, Michael Palin is embarking on a 21 venue tour in September and October to promote volume three of his diaries, Travelling to Work 1988-1998. The live show is divided into two parts – the first talking about his travel series (my all-time favorite travel shows) and the second about his comedy works. I wish I could be there to take in the show! Also, I hope we get a new series of travel programs, his last was Brazil in 2012. Donations are welcome to send me to one of the shows!! This entry was posted in Club Josh on July 9, 2014 by clubjosh. Yesterday was the 19th Anniversary of Club Josh which naturally means that the 20th is just around the corner. As I was thinking of the anniversary, I went back and looked at some previous entries I wrote on anniversaries of the site and I was struck by a level of frustration with how the site has developed. This year, I probably feel the best I have in a long time about where the site is. Factor #1 is my commitment to posting something every day which really has given the site the feel that I wanted so long ago. I have no idea if it is growing an audience or if people even read it. But you know what? I feel great and that’s all that really matters. I’m especially excited that I slayed the demons of the Japan Trip Diaries and posted it 10 years after the fact. There are two trips still sitting in the archives that I need to post – Japan October 2004 and Utah 2013. I hope to get those up sooner rather than later as there is a possibility of 2 new exciting trip diaries this year. Pretty much every time I post about an anniversary, I have made a list of things I want to do in the future for the site. I’m just glad I’ve done everything I wanted to do 11 years ago. In an effort to give myself 12 months to get ready for the 20th, here my latest laundry list of things I want need to do on the site. Hopefully, I will have a better track record and can look back on this entry and check items off the list well before next June! This entry was posted in Club Josh on June 29, 2014 by clubjosh.